Perhaps a little background first — I trained professionally for a career in theatre as an actor. The mounds of script study, rehearsals, and play watching come in handy for writing dialogue, standing a story on its feet, setting a stage, and chugging the plot along. I like action, suspenseful plot development and drama! What else? I studied dance and sword fighting. These days, I like to play chess, swim and walk my dog. I also like to make bread and bake cakes. When I can afford it, I love to share dinner out with friends and family, followed by a play or the ballet. Creating book trailers is high on my list – it’s like creating mini movies! Did I mention drawing? Oh, it’ll make you cringe, but I can crack my jaw! According to my mother, my kindergarten teacher told her that one day I would be an author. Where the teacher got that from, I haven’t a clue, and that ‘one day’ ended up a long way down a winding road. But I’ve always enjoyed stories, particularly fantasy or fairy tales. The natural world has always struck me as a magical place, infiltrated by presences we cannot see. Perhaps, my kindergarten teacher saw how much I loved to listen to or tell stories. She also reported that I liked to take long naps. Which should mean I can write in my sleep, right? 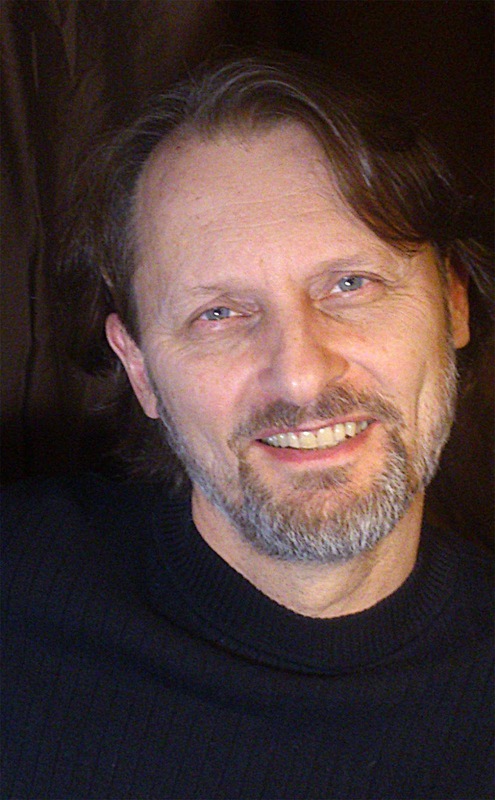 Getting back to answering the question, at seventeen years of age I started off in a professional career in theatre and pursued writing on the side. Eventually, writing stories got promoted from a side dish to the main course. I have always found stories compelling. Books opened up new worlds and introduced peculiar characters I would have liked to have had as friends. Stories taught me profound truths which I could not have grasped any other way. But it was Ernest Hemmingway’s Old Man and the Sea and Jonathan Livingston Seagull, a novella by Richard Bach which had the greatest impact on my young and impressionable imagination. I wept for Hemmingway’s old fisherman. But my very young self refused to accept that the old man’s experience, which read like a sad, almost nihilistic parable, was the inevitable outcome of every enthusiastic pursuit. Jonathan Seagull, in contrast, swept alongside a fledgling artist and promised much, much more than meets the eye. I was astounded that stories could wield so much power. Perhaps, those novels were the grand impetus, from which there would be no turning back. If it has survived, I would pull up a chair at his old desk (I think it had secret drawers) in the study of George Macdonald (Author of The Princess and the Goblin & numerous outstanding fairy tales). Who knows? I may uncover a lost manuscript, or perhaps share the honor of shouldering the mantle of the prolific storyteller as I write. Second choice? Within walking distance of a wind-swept ocean coastline. I love long walks to take a break from writing and I can think of no better place to blow out the cobwebs and rekindle the imagination. All expenses paid? Dinner for four followed by a play or the ballet. Back to your present book, Shelter Island, how did you publish it? I found Brownridge Publishing with a little detective work. I was thumbing through the results of a writing contest, taking note of publishers which publish in my genre and found Brownridge beside a winning entry. I visited the publisher’s site, discovered Brownridge was a small, yet growing traditional publisher with shared ideals, so I submitted. The editor liked my submission, but declined. The manuscript was a picture book, which she wasn’t publishing at the time. I replied to her email: As it so happens, I have just finished, and am currently editing a middle grade fantasy novel, the first of a trilogy titled The Song Of Fridorfold. She read it. Liked it. Her daughter read it. Liked it. She offered to publish it. Back and forth from study to kitchen. Why was writing Shelter Island so important to you? After submitting my manuscript to an editor, he commented, You know you are bucking the trend here. I thought, I hope so. 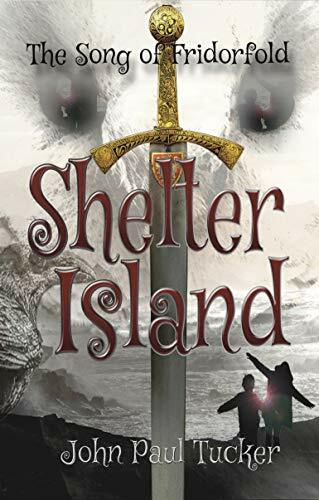 Shelter Island is a story for readers, like the book’s protagonists Cary, Clarisse, and Gregory, who must look somewhere other than their own troubled hearts to find the courage they need to face extraordinary circumstances and enemies older, stronger and more cunning. A lot of children’s books beat the same feeble drum. Their message? Just dig deep enough, take charge of yourself, and everything will work out. Simply reach into your heart and you will find everything you need. That advice seems a naive sort of cure-all. What if one’s ‘heart’ should fail? What if he reaches into his heart and finds nothing but the ashes of regret and loneliness? Exploring the possibilities that arose from such questions made a strong contribution to Shelter Island. For one, I have a overactive imagination. I remember my Mom got a call from my junior grade school teacher. The teacher asked my bewildered mother why my older brother ‘John’ wasn’t attending school. “He doesn’t have an older brother,” she answered. Apparently, I talked about him at school sometimes. I also love art, fine art, theatre art and literature because in good art invisible things (the corporeal), like love, hope and their enemies, and material things (the temporal), get all tangled up. Art has the capacity to reflect the ‘whole’ world and to reach into deeper places. I also happen to bother God a lot in prayer, gathering crumbs that fall from the master’s table. On Shelter Island you can fly, but you can never run!